my blog so everyone go and follow her blog. site after looking at other peoples blogs i thought that this is something i want to do. and it keeps me from being bored. but i couldn't choose one not yet. Haven't hada bad one yet! escape from normal life and just have fun plus meeting new people. 7. 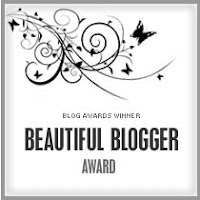 Nominate 5 other bloggers.